Crispy thin pizza, chocolate-covered gelato and pasta to die for - Rome has plenty of incredible dishes to keep you satiated. But as good as the food is, it would be a shame to spend all your time in restaurants and miss the city's gorgeous weather and incredible architecture. How to settle this moral travel dilemma and balance short timing with good eats? Simple: combine the best of both worlds by taking a food tour. These six mouth-watering food tours each explore a different corner of Rome, so be sure to arrive hungry. 1. 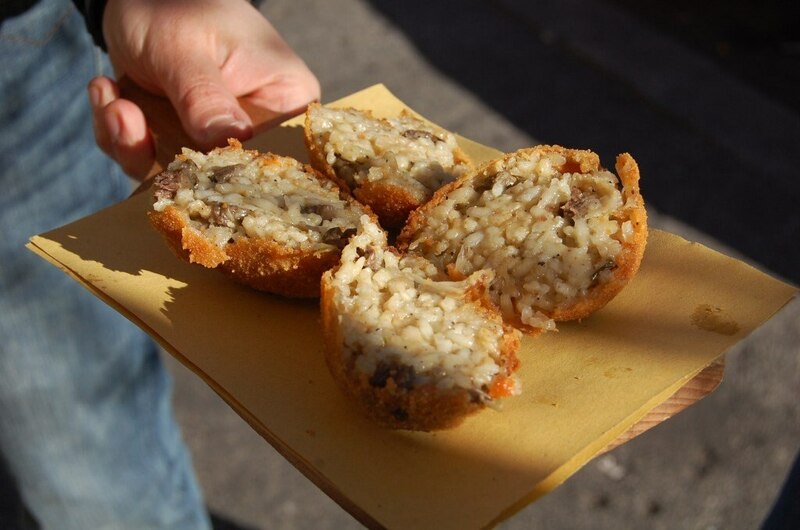 Sample the real Rome with a Trionfale food tour by Casa Mia. Only a few streets from the Vatican, the tour begins at a market that feels miles away from the tourist crowds. You'll meet vendors at this classic Roman mercato while snacking on cheese, cured meats and seasonal produce. After eating your way through the market, more pizza, pastries and gelato await in the surrounding Prati neighborhood. Finish up with a coffee or a glass of wine and pat yourself on the back for planning the perfect Roman day. 2. Set out at twilight with the Roman Guy for a food tour of Trastevere. Winding across the river into one of Rome's cutest neighborhoods, you will try everything from appetisers to mains and dessert by stopping at some of the best hidden gems in the historic centre. Bonus? The evening timing of the tour means that a healthy dose of wine is included and highly encouraged. 3. Turn to local expert Elizabeth Minchilli to eat your way through one of Rome's hidden neighborhoods. Just a few streets away from the Colosseum, Monti is one of the most historic areas of Rome. Packed with boutiques and artisan workshops, the residential quarter comes with an edge of reclaimed modernity that is totally irresistible. You will walk along ivy-draped streets and leave with a new appreciation of Rome and Italian food after the 10 stops which include wine and cheese tastings at an organic market, chocolate, a gourmet panino, Calabrian sausage and lunch with pasta tasting. 4. Testaccio has been a food destination for centuries. The neighbourhood was once an ancient Roman port where olive oil and grains entered the empire. In the 1900s, it was home to one of Europe's largest slaughterhouses. 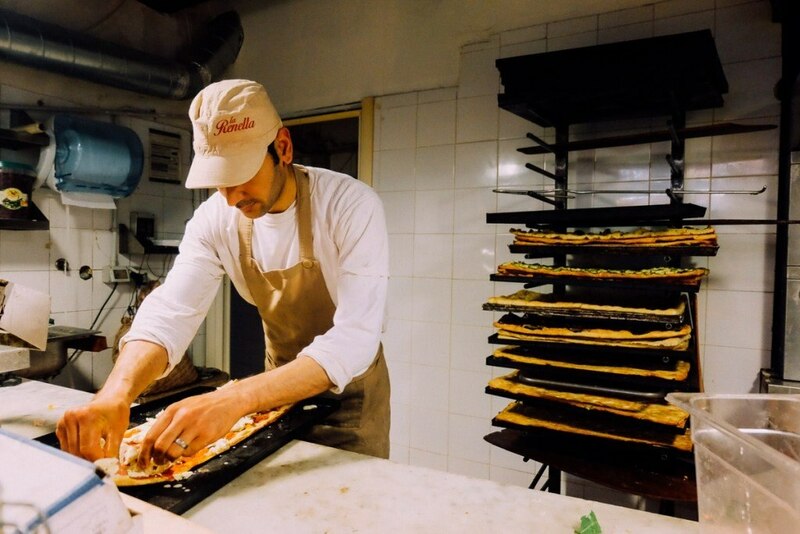 Today, you can explore this culinary corner of Rome with Eating Italy's Testaccio market tour to taste the distinct dishes inspired by the neighborhood's foodie past and present. 5. Each Roman neighborhood is a microcosm of history and influence, and in the Ghetto this is a difference that you can literally taste. 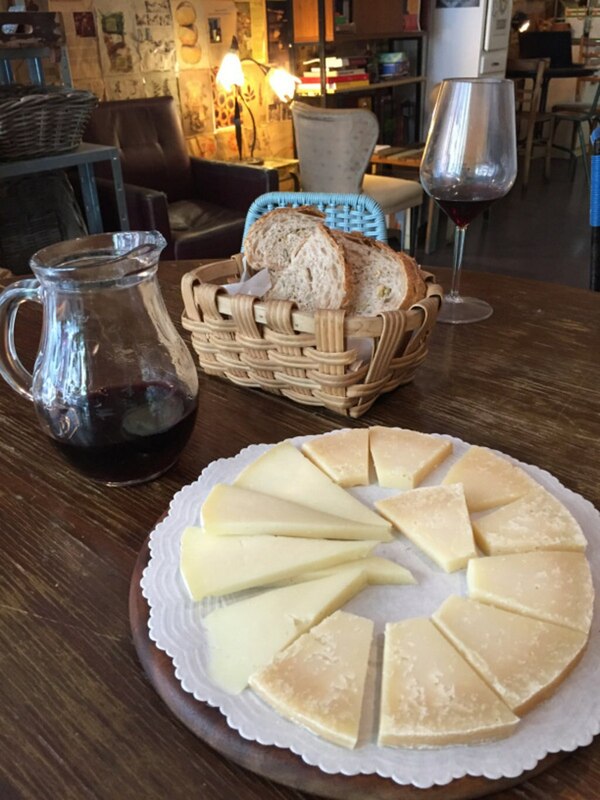 To learn (and eat) more, join journalist Katie Parla to experience Cucina Ebraica: Roman Jewish Cuisine. The walking tour explores how 22 centuries of history have shaped the unique dishes which hail from this small slice of Rome. Opt for the curated lunch, and be sure to try carciofi alla giudia - twice-fried artichokes - before finishing your tour of culinary history with kosher treats from local bakeries. 6. Does it sound like all that walking is going to get in the way of your calorie consumption? Luckily, Scooteroma offers foodie tours that take you to farther-flung food destinations via Vespa. Rather than sticking to a single neighbourhood, you can catch a glimpse of Rome as you buzz between locations on the back of a motorino. With your stylish transport taken care of, you'll have more time for savouring the flavours. 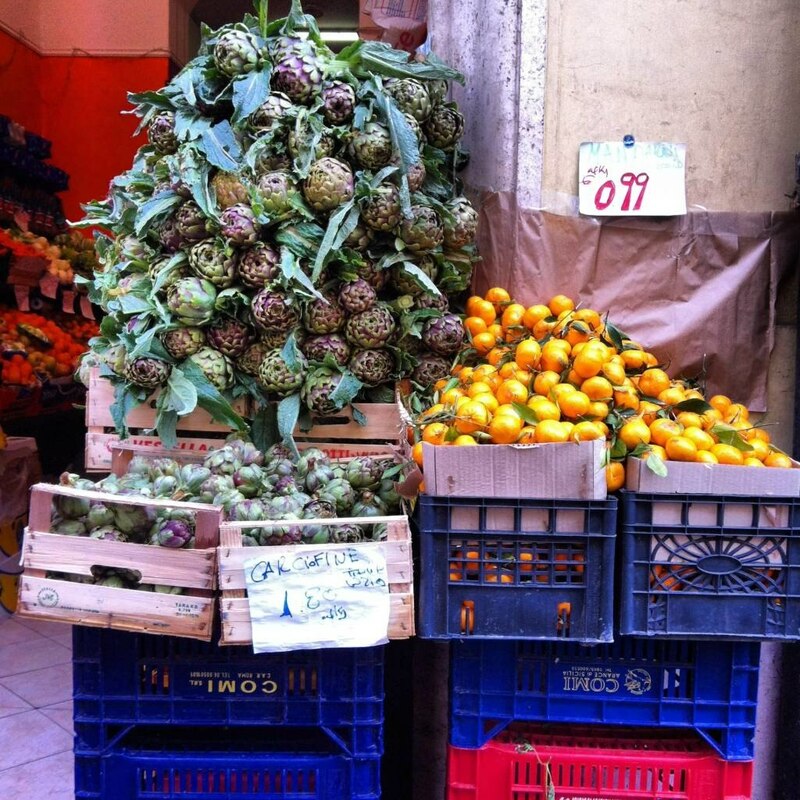 Want to experience the very best of Rome's food tours this summer? Check out our hotel deals to start planning your trip. Located in Rome's Quirinale district, this hotel draws a mix of tourists to its doors, which are 1 block from Teatro dell'Opera and a 5 minute walk to the Termini Station. Central Rome hotel housed in a late 19th-century building retaining much Imperial grandeur, 500 metres from Quirinale Palace and one kilometre from the Colosseum. Centrally located in Rome, this hotel faces the Teatro dell'Opera and is within 2 blocks of the Repubblica metro station and Via Nazionale and within 1 km (0.5 mi) of Basilica of Santa Maria Maggiore. Situated near the airport, this hotel is within 16 mi (25 km) of Parco de' Medici Golf Club, Hydromania, and Euroma2. St. Peter's Basilica and Museum of Roman Civilization are also within 20 mi (32 km). Grandiose 19th-century property overlooking Rome's central Via Nazionale, just steps from the Piazza della Repubblica, and 1 kilometer from the Trevi fountain and Spanish Steps. Located on the waterfront, this family-friendly hotel is within 6 mi (10 km) of Parco Leonardo, Roman Ruins of Ostia Antica, and Castello di Giulio II. Da Vinci Market Central and Macchiagrande Oasis are also within 9 mi (15 km). This hotel features 3 outdoor pools and 1 indoor pool as well as a full service Spa. Additional amenities include an area shuttle, and 4 bars. 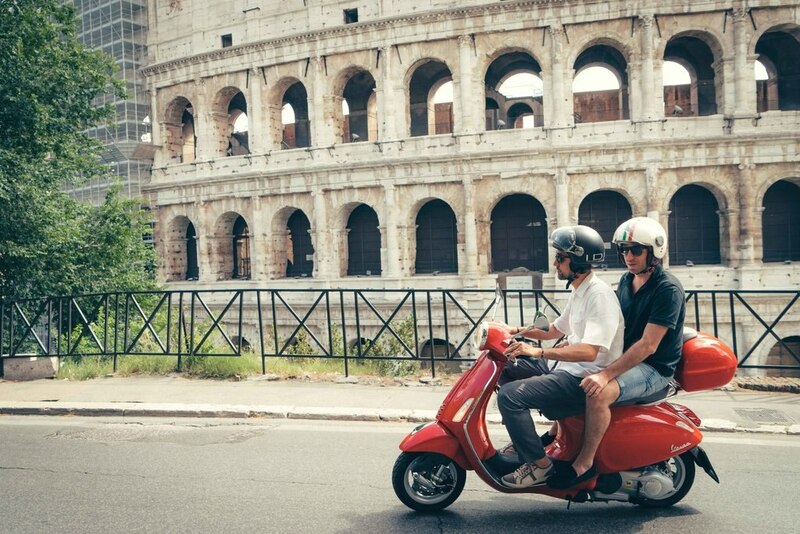 Renting a Vespa - the best way to see Rome?